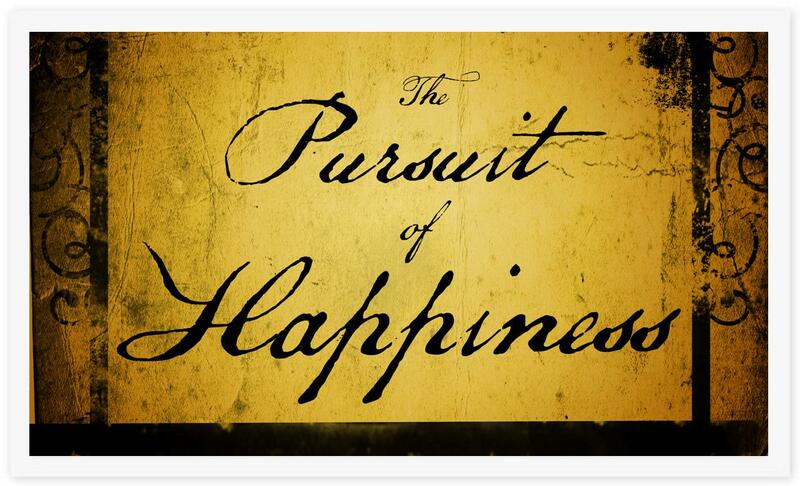 What is Pursuit of Happiness and what the Founding Fathers of USA meant by it? It is very interesting to note the commonality in the interpretation of happiness above. It simply meant right to pursue leading a virtuous life which in those days meant religious and ethical life. Note it is not a right to happiness but a right to ‘pursue’ Happiness. Science of happiness is a favorite subject and here are some of the notes from my journal that I have collected from multiple sources over time such as online courses, books, talks, blogs, research papers, etc. Happiness does not really depend on objective conditions such as health, wealth or society. Rather happiness depends above all on the correlation of expectations and conditions i.e. if you get what you expect, you are more happier. Objective conditions such as wealth and power can cause deep unhappiness if the expectations are too high. Mass media and markets work to make sure we are not happy and contented for a long time by exposing us to new and better things and raising our expectations all the time. That keeps the economy going and creates jobs and helps pay taxes. People always compare themselves with others and this tendency is observed even at a macro level. For example, people in Egypt were much better-off under the regime of Hosni Mubarak as compared to the Pharos regime. Child mortality, health conditions, infrastructure, access to technology / information etc. were much better compared to their ancestors but still they revolted and were very unhappy only because they compared themselves with other developed countries i.e. increased their expectations in relation to developed countries and not compared themselves with their ancestors. From a life science perspective, happiness is caused by biochemical reactions within the body and are not caused by any external factors. Winning a lottery, falling in love, buying an expensive house, etc. do not cause happiness. Happiness is caused by “Pleasant Bodily Sensations”. These bodily sensations last for a very short time. Humans sense of happiness is compared to Air Conditioner… the goal of the air conditioner is to keep the temperature constant within the range of external temperature changes. i.e. temperature outside can sometimes be 70 F and in the night can be 50 F but the air conditioner, lets say tries to maintain the temperature around 65 F always. Similarly different people have different ranges of happiness and their internal biochemical system tries to maintain the levels at their own constant… for e.g. on a scale of 0 to 10 some may fluctuate between 5 and 9 levels and will strive to maintain 7 thereby being more cheerful than others. Similarly some may have a range of 1 to 6 and maintain level 3 thereby being depressive and gloomy. People just copy others and believe what others tell them makes them happy. Media, marketing and stories drive our sense of happiness. In an experiment, people demonstrated spending time with their children as the least measure of happiness while when you ask them, they tend to rate time spent with their children very high on the scale. Pursue Happiness – Happy 4th of July!. Thanks Piotr. Fixed the typo. In my earlier post on the inverted-U curve (How much is too much), I have written about the point at which money tends to reverse its utility. On the 5k run, I am always game to run with you :).